The Sennheiser PXC 450 delivers the expected awesome sound that accompanies Sennheiser products, but the noise-cancellation is not as good as it should be. The Sennheiser PXC 450 noise-cancelling headphones have received positive reviews for their overall sound quality, with users pointing to their incredible detail. They are also built really well, with users suggesting they seem very sturdy and professionally built. The TalkThrough function was also seen as convenient, with the headphone temporarily stopping its noise-cancellation when one engages in conversation. Their overall comfort was also a huge plus for users, with users loving the soft earpads. However, its noise-cancellation was not as effective as most had hoped for, with users pointing out that they are more effective in environments with low ambient noise. All-in-all, the Sennheiser PXC 450 noise-cancelling headphones deliver awesome overall sound reproduction and comfort, but their noise-cancellation is more effective in areas with low ambient noise. 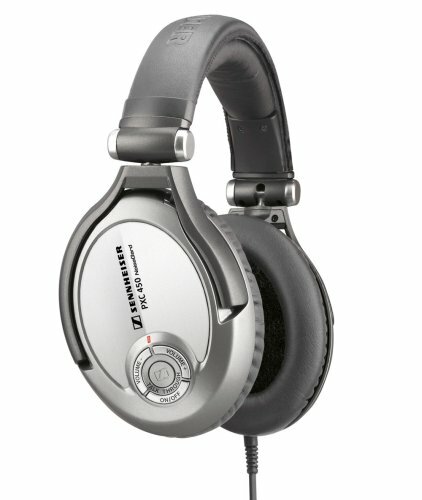 Sennheiser's new (and very expensive) PXC 450 NoiseGard headphones outdo Bose in both killing ambient noise and providing excellent audio performance.